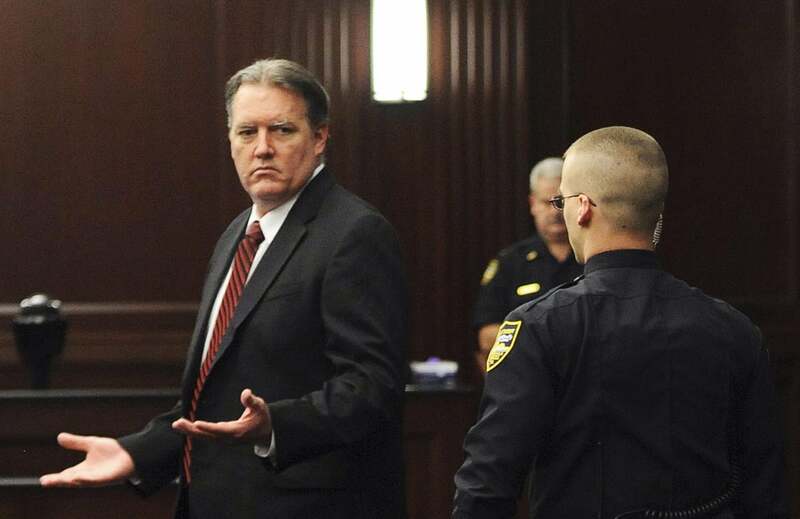 Florida jury finds Michael Dunn guilty of murder in loud rap music trial. Michael Dunn during his first trial in February 2014. A Jacksonville jury found Michael Dunn guilty of first-degree murder on Wednesday for the fatal 2012 shooting of an unarmed teenager. The shooting took place during an argument at a gas station over the volume of the rap music coming from 17-year-old Jordan Davis’ car. The 47-year-old Dunn testified that he shot at Davis in his Dodge Durango out of self-defense when—after asking for the music to be turned down—“Davis called him a ‘cracker,’ threatened to ‘kill’ him, pointed a shotgun at him from inside the Durango and then tried to get out of the car,” the New York Times reports. “Prosecutors undermined Mr. Dunn’s claim of self-defense by telling jurors that no gun was found in the Durango or in the surrounding area, and that no witnesses ever saw a gun or saw Mr. Davis try to get out of the car.” Dunn fired 10 shots at the car, three of which struck Davis. Dunn’s former fiancée also testified Dunn had complained about the “thug” music and never claimed at the time of the shooting that he had acted out of self-defense. With the guilty verdict Dunn now faces a potential sentence of life in prison without parole.